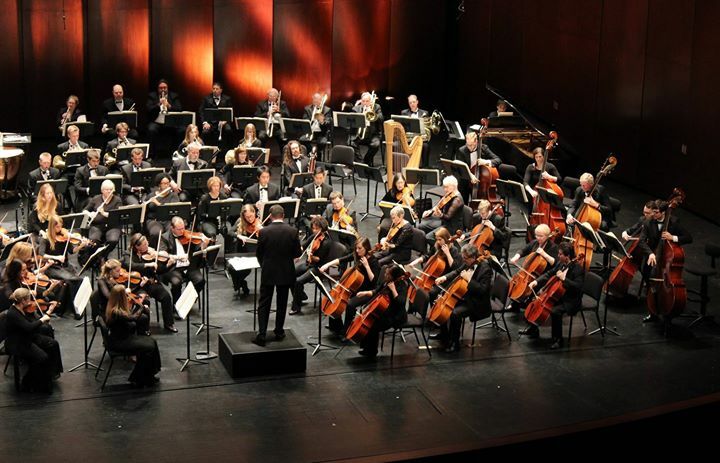 Splicing in everything from the dramatic to the comedic, the Dearborn Symphony — under the direction of guest conductor Leif Bjaland — rolled out the red carpet Nov. 13 at the Ford Community & Performing Arts Center. Bjaland and the Dearborn Symphony “reeled” in music lovers with scores from the Silver Screen celebrating years of beloved movie music and genre that opened with a glorious rendition of Robert Wendel’s arrangement of “A Hollywood Salute.” Bjaland’s entertaining style of conducting lent a unique and interesting interplay with the audience. Bjaland narrated interesting facts on each piece. One such example was Herrmann’s dynamic insight for the music of the well-known shower scene, where the sound of the knife mimicked a high pitched screaming bird and was intended to underscore the stuffed bird collection that adorned the Bates Motel. James Horner’s “Highlights from the Titanic” embodied the love story. The first half of the night’s performance closed with George Gershwin’s “Scene in the Square” from “An American in Paris.” Notable and memorable performances by concertmaster Ashley Dyer and principal trumpet Michael McGowan helped bring this work to life with masterful solo contributions to the piece. Williams’ “Harry Potter Suite” with a notable performance by Iman Habibi on the celeste elegantly gave rise to the sounds of the enchanted world of magic. Williams’ “Flying Music” from “E.T. The Extra-Terrestrial” closed out the regularly scheduled portion of the evening; however, patrons called for another performance of Bernstein’s “Mambo,” and it was again exciting and well received. In the end, music lovers went home feeling much happier ever after, hearing such a fun and memorable show. The season continues with the next scheduled performance Feb. 5, featuring the symphony’s annual pops concert with guest conductor and pianist Rich Ridenour. Ridenour and his son Brandon on trumpet, veteran of the famed Canadian Brass, will perform hits like “Bugler’s Holiday,” Williams’ “Olympic Fanfare,” Billy Joel’s “Piano Man,” a Beatles tribute and more. Tickets range from $10 to $35, and can be purchased in advance at dearbornsymphony.org or at the door. For more information, go to dearbornsymphony.org or call 313-565-2424.